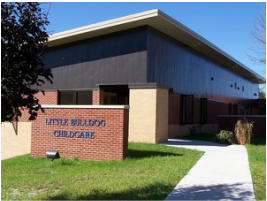 Childcare - Monona Chamber & Economic Development, Inc.
Smith and Bulldog Childcare & Learning Centers is comprised of Dr. Clifford C. Smith Childcare Center (shown at top-left), located in McGregor, IA and Little Bulldog Childcare Center (shown at top-right), located in Monona, IA. The two facilities service the region of northeastern Iowa and southwestern Wisconsin and are the premiere locations for childcare services for McGregor, Monona, Marquette, Elkader, Farmersburg, Garnavillo, Postville, and Waukon, Iowa, as well as Prairie du Chien and Bridgeport, Wisconsin residents. 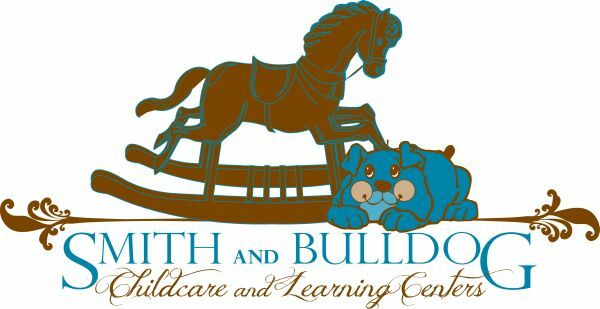 Smith & Bulldog Childcare & Learning Centers are 501(c)3 non-profit organizations operated by special cooperative agreements between the MFL MarMac School District and the cities of McGregor and Monona, IA. These centers provide programs for infants, toddlers, and preschoolers that promote cognitive, physical, social and emotional development through fun, hands-on activities. Programs also offer before and after school care for school age children up to the age of 12, as well as a Summer Program. The goals of the centers are to provide programs that allow children to learn through hands-on experiences that enhance and facilitate cognitive, physical, social, and emotional development. By providing a fun, interesting and stimulating learning environment under the direction of adult supervision the experiences in our centers will help to build positive attitudes and good self-esteem. Parents and relatives are invited and encouraged to visit the center at any time. Parents are offered unlimited access to their children and the center during hours of operation. NOTE: The 2nd annual Labor Day 5K Walk / Run is on Saturday, Sept. 5, 2015. All proceeds benefit the Smith & Bulldog Childcare & Learning Centers. You may register from 7 - 7:45 a.m & the race starts at 8 a.m. at Triangle Park in McGregor, IA. Any questions? Contact Stephanie Wikner at (319) 360-7473 or steph.wikner@gmail.com. Please find a copy of the registration flyer on the Monona Chamber's Facebook page to fill out in advance & bring with you. In addition to the public childcare center, Monona also has numerous in-home providers. For more information on providers in the Monona area, we encourage you to visit Childcare Resource and Referral by visiting neiowachildcare.org or by calling (800) 475-0804. Prior to selecting childcare for your families needs, we do encourage parents to visit the Department of Human Services website to see how each individual childcare provider in the area ranks on the Quality Rating Scale which is used to assess the providers. That information can be found at dhs.state.ia.us/.